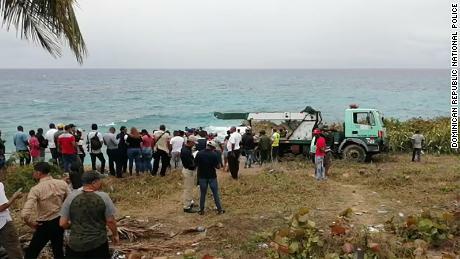 Video provided to CNN by Dominican Republic National Police show the extraction of the vehicle . 1; because of the rough seas normally found in the area. A photograph provided to CNN by Dominican Republic National Police showed the back of the phone was shattered. The word "iPhone" is clearly visible. The agency is tracing the phone to figure out if it belongs to Moore or Ravenelle. 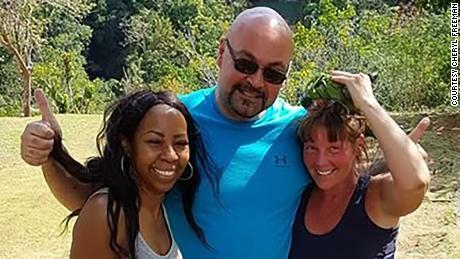 The National Police believes the car with Ravenelle, 52, and Moore, 40, plunged not long after the pair left for the airport to catch a flight home to New York. 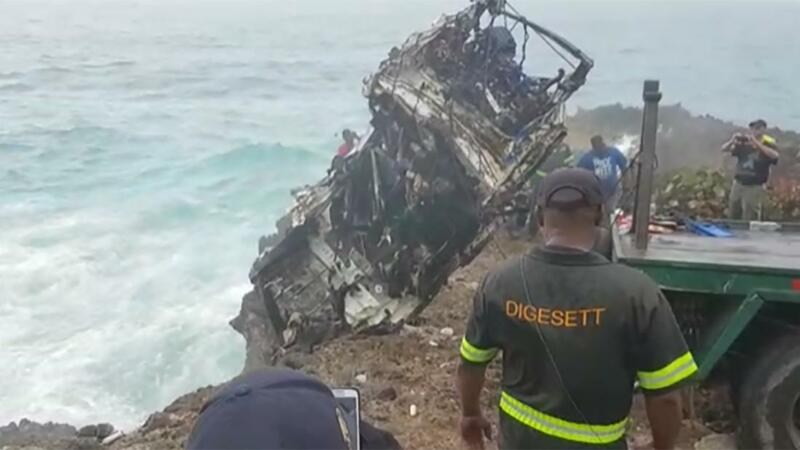 Detectives spoke to fishermen who said they heard a loud noise coming from 19 kilometers (about 11.8 miles) away from the freeway of Las Americas, Santo Domingo Este early that morning, the National Police said. ] The fishermen said they found a woman who was seriously injured and not carrying any identification, police said. Ravenelle repeatedly asked Moore if he was sure they had enough gas to make it to the airport, Freeman said. He kept checking to make sure their phones were charged enough to use the GPS, Freeman said.